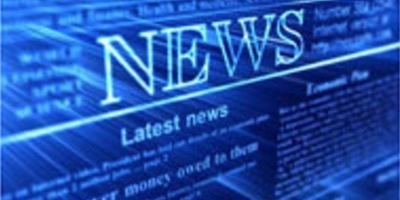 FairPay-What-You-Want for Costly Products? Etsy? Everlane? Tiffany? [UPDATES 12/27/17: Everlane PWYW sales on again.5/10/17 article broadly covers "What do people want to pay for their clothes?" and mentions FairPay (as "Fair PWYW") - reports 13% pay more than minimum.12/29/16: Everlane has again done a PWYW sale. It is advertised as "Twice A Year," so it must be successful! Not just digital? Can FairPay work for real products that have significant replication cost? -- such as for a fashion retailer like Everlane or an artisan marketplace like Etsy? There are actually some very interesting opportunities. 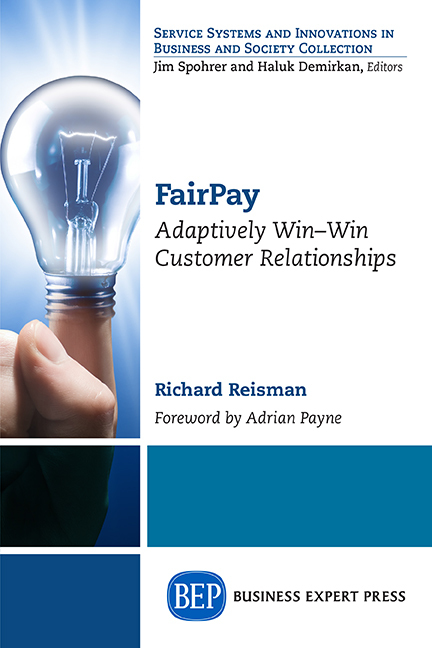 FairPay (short for Fair-Pay-What-You-Want) is a new architecture for participative price-setting that adaptively seeks win-win value propositions in ongoing customer relationships. As discussed throughout this blog, the case for FairPay is most obvious for products that have negligible marginal cost to replicate, such as digital content -- since there is no out-of-pocket loss when the occasional customer does not pay fairly-- but a minor variation of the process promises to work well for costly products as well. The variation is very simple: set a minimum price floor that allows the buyer to set whatever price they want above that minimum. That can ensure that sales are not at a loss, and limit the FairPay adaptation process to apply only to the profit margin that the seller should receive above the cost. This builds on the simpler idea of Pay-What-You-Want (PWYW) with a price floor, which has been common, as described below. $110: "$0 to Everlane. This only covers our cost of production and shipping." $132: $22 extra to Everlane. This helps to cover production, shipping, and overhead for our 70-person team." $225. $115 extra for Everlane. This helps cover production shipping, our team, and allows us to invest in growth. Thanks!" FairPay is a new concept that would enable such sales to become a regular option for selected customers (including those found to pay well on special sales like this Christmas sale). For customers who develop very good reputations for pricing fairness, many items might be offered that way all the time. For customers who gain moderately good fairness reputations, such offers could be more limited, but still for many items (often, if not all the time). Thus FairPay becomes an interesting next step for such a retailer, as explained further below. Beyond the example of a single retailer like Everlane, FairPay can also apply to a platform for serving many sellers, like Etsy.com, a platform that provides a marketplace for many designers and artisans. The conventional offering is for products to be sold at prices pre-set by the seller. All of the issues with conventional pricing apply here -- notably no allowance for individually varying value perceptions, and no post-pricing that enables the price to be set after the value is known. A 100% FairPay offering would allow buyers to set any price they think fair, after receiving and trying the product, even as low a zero. The seller takes the risk that buyers will not be happy or fair, and that they will set very low prices, possibly well below cost. Even with FairPay's reputation tracking and limitation of sales to those who do not maintain a reputation for fair pricing, sellers face the risk of not recovering their costs on some sales. A solution is to add FairPay with a price floor -- similar to PWYW with a price floor (as used by Everlane), but with the added controls of FairPay that I propose. This hybrid version of FairPay could provide for a minimum "floor" price that is pre-set by the seller, plus a profit margin bonus that is set by the buyer. This floor price set by the seller might be paid prior to shipment (as with conventional sales), to ensure coverage of costs. The FairPay portion would address the profit margin bonus price, which would be set by the buyer, after experiencing the product, as with pure FairPay. Note that just changing conventional PWYW to have sellers set prices after using the product can have significant benefits in getting better PWYW pricing -- buyers no longer need to discount their prices for fear being disappointed by an untried item. Thus sellers should seriously consider this idea of post-priced PWYW, even before moving to the more advanced FairPay process. Such a hybrid two-level pricing process (conventional seller-set floor price prior to sale, plus FairPay bonus price set by buyer post-sale) could provide a very effective solution to adaptively seek win-win sales. 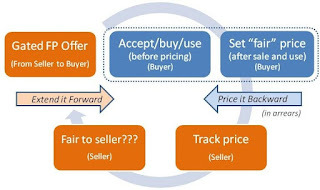 The process would be explained up front, so that buyers and sellers understand that the initial price is just a base price that only covers the cost of the product (and perhaps a very small profit margin), but that buyers who are happy with the product are expected to pay more than that, once they see the value of what they have gotten. The seller could post a suggested bonus price (with profit margin), but buyers could decide to price higher or lower, based on their own judgment of fair value. Buyer risk is much less than at full price. Refund options could still be provided to deal with serious dissatisfaction over even the "at-cost" base price. However, with the lower base price, fewer buyers would be so unhappy they would wish to bother with a return for refund. Many would be willing to keep a marginally satisfactory product at a "bargain" price, given that the value is now known, and there is no further effort to doing that. Seller risk is low, because they will at least cover their costs (except for a smaller than usual number of returns for refund). Both benefit by getting more customers to try the product. The bigger benefit is in cooperatively seeking a fair profit margin. Sellers who are happy can decide just how happy they are, considering all relevant factors, now that the value is known -- and can set the bonus prices accordingly. 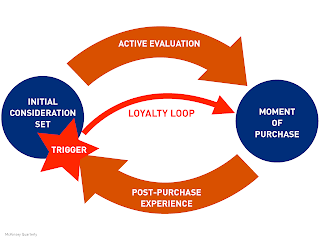 Sometimes this process might lead to a price below a conventional price, sometimes above, but in any case it leads to repeat customers with loyalty. The reason that is important is the "long tail of prices." Some buyers will happily pay more than a conventionally pre-set price, and that generates added revenue. Many buyers (the long tail) will be unwilling to pay a conventionally pre-set price, but would be willing to buy the product at the lower base price, and then consider adding a bonus. Any added bonus is added profit. Thus the seller sells more products and makes more buyers happy. This can work especially well for quality producers who delight their customers and motivate them to pay generously by triggering the use of communal norms. If Everlane's experience is like that of other PWYW vendors, positioning as a dedicated provider of quality and service can elicit high levels of fairness under communal norms. In the case of artisanal/craft products like on Etsy -- and building on the person-to-person nature of sales in such a marketplace -- communal norms of fairness should be especially applicable to motivate high levels of generosity. The key to making this profitable and manageable is the fairness reputation tracking and feedback controls of FairPay. The seller (or platform) can track how individual buyers respond to individual offers (and sellers), to learn how fairly a buyer sets prices for what kinds of products (and from which sellers). This provides a database on value perceptions and fairness for each buyer that can be used to manage what is offered to specific buyers (by which sellers), so that sellers can control their risk and nudge individual buyers to maximize their fairness. Offers can be restricted to only those buyers who have a reputation for pricing fairly for the class of product being offered, so that sellers have a reasonable expectation that they will set a fair bonus price. Sellers can decide how much risk they want to take and how wide a market reach they want. Those who prefer a lower number of sales at higher prices can limit their offers to those known to price generously. Those more eager to expand the quantity they sell, at some greater risk to their profit margin, can expose offers to a broader segment of buyers who price fairly but less generously. Some sellers will set liberal fairness thresholds for some products for unknown buyers, so that their behavior can be learned at manageable risk. They may do this with selected product lines (or for limted promotions like Everlane's Christmas sale) that they can use for testing. Tighter fairness threshholds can be applied for sellers or product categories for which they want only more generous buyers. In the case of a multi-seller marketplace like Etsy, the personal reputation data of buyers that is collected by the marketplace need not be exposed to individual sellers (to protect privacy) -- the marketplace can simply avoid matching a buyer to offers from sellers who set a fairness rating threshold that is higher than the buyer's fairness rating. All the seller knows about the buyer is that any buyer who see their offer has at least the desired fairness rating. This mechanism gives a buyer a strong incentive to price fairly and even generously, to maximize the number and quality of offers they see. Buyers will know that it is the most desirable offers (and the most desirable sellers in a multi-vendor marketplace) that set the tightest fairness thresholds -- so the less generous they are, the fewer top quality offers they can expect to see in the future. Consider the lessons of conventional pay what you want (PWYW) offers. PWYW has proven reasonably effective for both virtual and real products/services. People can be motivated to willingly pay fairly even when they do not have to. Research studies suggest that price floors can be effective, but there is a downside to consider -- setting a minimum can signal a lack of trust in the buyer, or leave the impression that a fair price is not much above the minimum. In the case of real goods with substantial costs, it seems likely that the risk-mitigation of a price floor is more important than the signalling concerns. * Care in framing the floor price as not really fair -- in that it provides no profit and is thus not sustainable -- can help push generosity upward -- as can care in how the suggested profit margin is framed. So it seems there is good reason to think this could work well for many real goods. Everlane seems a promising example, as a retailer seeking to establish an image for value, fairness, and transparency. Similar advantages may be applicable for design/craft/artisan products -- the seller can emphasize the human value of the artisan. Such use of FairPay could benefit a multi-seller marketplace like Etsy, especially where buyers are unsure what to expect from a seller they do not know (and vice versa). This could be good for the buyer, good for the seller, and good for the marketplace. Could it work for very high-end products? 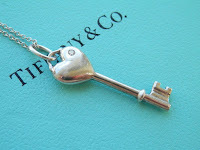 -- such as for Tiffany? 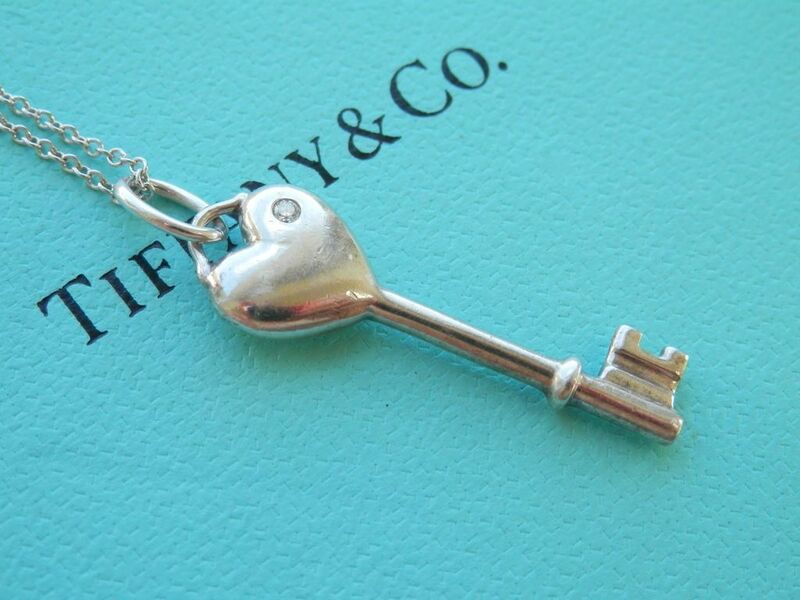 Perhaps not as well as conventional pricing, since at the very high end, high set prices are a signal of exclusivity -- a vendor with cachet like Tiffany can command prices that less prestigious brands cannot. I would guess Tiffany will be among the last places to try FairPay, for that reason. But who knows what variations might become workable once FairPay becomes widely used and understood? [Update 12/31:] Wide press coverage of this sale in Business Insider (twice), NY Magazine, Inc, HuffPost, Daily Mail, and others shows the promotional value of PWYW offers, Hopefully they will also report on Everlane's results. This raises many interesting and important questions about how to apply new participative pricing methods like pay what you want (PWYW) that try to find a win-win with the customer -- but we are at very early stages of understanding how to do them most effectively. 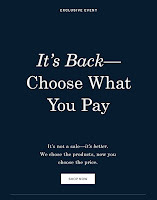 I believe Everlane is on the right track, and that with proper framing of the offer, and what is expected of them, PWYW -- and more advanced variations on it, like FairPay -- will change how we buy things. The cited research by Gneezy (which I included in my Resource Guide to Pricing) and others is very interesting, and offers many insights, but does not tell us what results can be obtained with better framing (and after people gain familiarity with such new approaches). 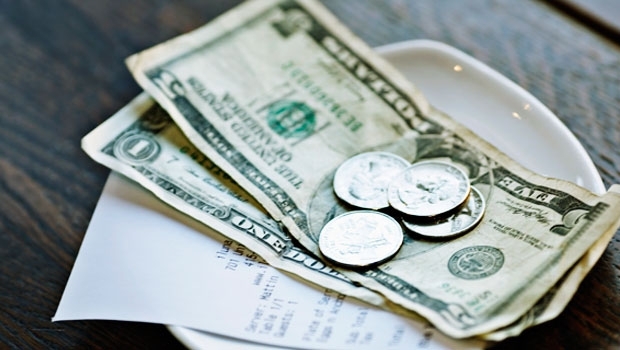 A more established example of PWYW is tipping in restaurants. True, it makes some people a bit uncomfortable, and some want to eliminate it, but most of us manage to do it as second nature (apart from any arithmetical challenges that an online system would eliminate). We simply look back on the experience and consider whether service was better or worse than average (intuitively considering many factors, including how we feel about the server, and our plans to frequent the restaurant in the future), to come up with a tip that seems about right. With some experimentation, much more effective variations on how to present PWYW offers can be explored and refined. Provide a slider that allows any price within an allowable range. For the coat example, the quantum jumps in the allowed prices are quite large: from $110, to $132, to $225. Maybe I am willing to pay $150 or $175 because I want to support them, but $225 just seems a bit steep for an overstock sale -- but I only pay $132. The same framing levels could be presented, but with the ability to pick an intermediate price that seems fair to me. Let people pay the base price up front, and then follow up to ask them to decide on the bonus price after they receive the product and know how they like it. This would be only a bit more complex to do, would still assure costs are covered, but would gain all the benefits of post-experience pricing. Instead of wondering if I will really like the coat, and pricing low, because I am afraid to end up disappointed, I would know how much I liked it, and not have to discount from what I would later agree would have been fair. *Of course a price floor can be used in any FairPay context, including digital goods with low marginal cost (just as is done for PWYW offers). 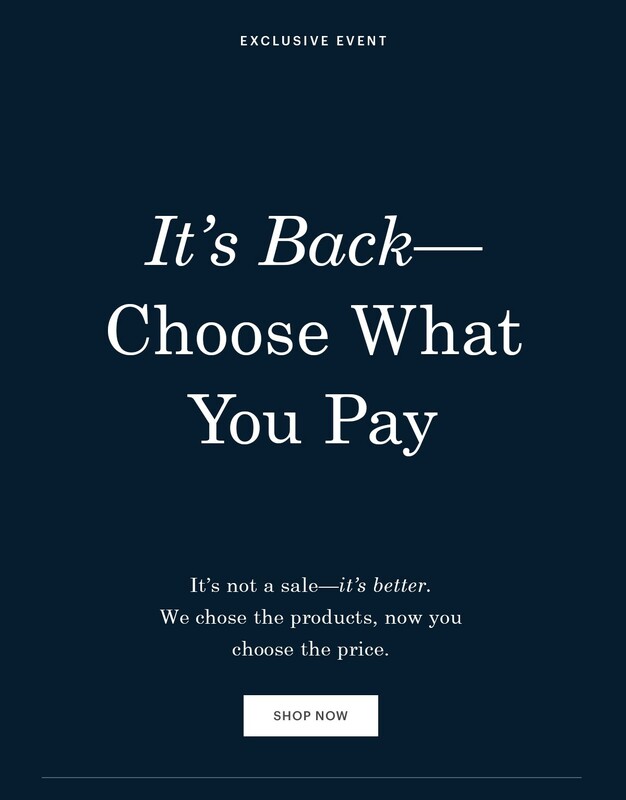 Market testing (as by Everlane) is needed to understand under what conditions that is desirable, and how to set and frame such a minimum price. As a form of design thinking, FairPay makes consideration of the user -- and empathy and experimentation related to that -- central to every customer relationship. FairPay is a new logic for conducting ongoing relationships that adaptively seek win-win value propositions in which price = value. FairPay sets prices through an emergent process of ongoing experimentation, with the full participation of the customer. This shifts the entire focus of customer relationships from price to value. 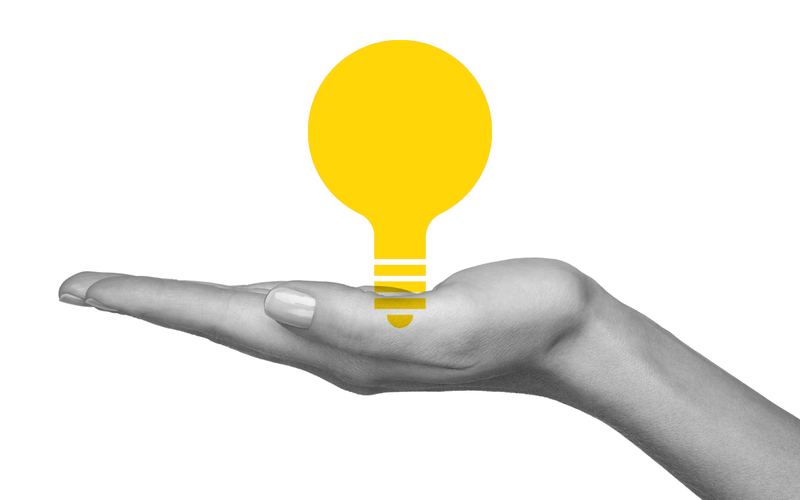 FairPay can help drive entire businesses and industries to re-center on design thinking -- by shifting the customer journey to drive dialog with customers about value propositions -- and to reflect that in pricing, so that it factors directly into the bottom line. That can drive everything else. My own career-long focus has been on what I have called "user-centric" thinking (my half century in media technology began with a user focus, and on the customer side of IBM, with two decades inside IBM "large account" customers, before shifting to media technology entrepreneurship). That focus is what led me to develop the FairPay architecture as a more user-centric form of customer relationship that solves many problems inherent in our old logic of seller-set prices, take-it-or-leave-it value propositions, and inhospitable customer journeys. FairPay is built on consumer participation in pricing, as an emergent process that seeks adaptively win-win value propositions. 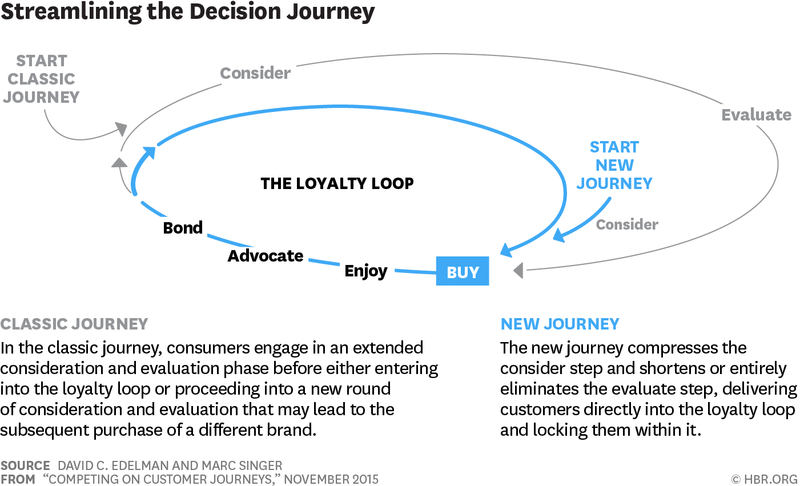 It adds explicit dialogs about value as a core process within every customer journey cycle. FairPay is particularly well-suited to the media industry, where the new economics of digital content challenges traditional notions of value and fair price (as outlined on the HBR Blog). These challenges have put the news and music industries in disarray, and are disrupting TV/video, games, books, software, and other digital services. There is growing recognition of the problem, and the strategic opportunity for more adaptive and user-centered thinking, as exemplified by this NY Times article and the recent Harvard Business Review cover articles it refers to. 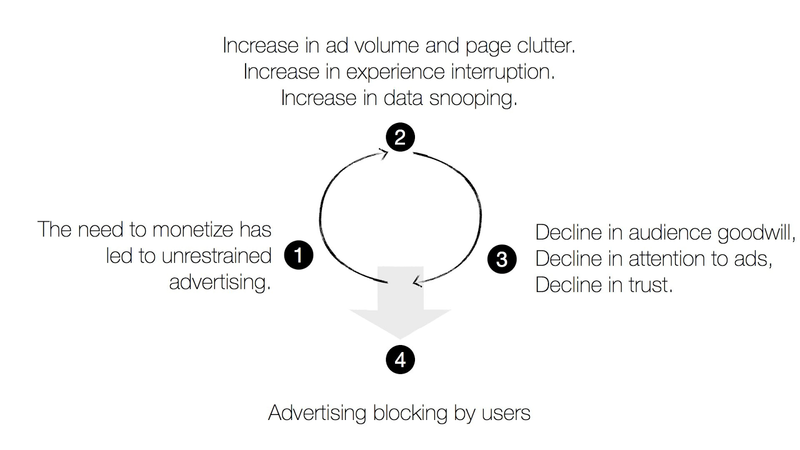 There is also growing recognition in the media industry that piracy and ad-blocking are symptoms of customer-hostile value propositions, and that what is needed is not more coercion, but more cooperation. Having gained recognition of the potential of the FairPay concept from Jim Spohrer, who was the driving force behind IBMs Service Science initiative, I hope to find wider interest in this new strategy from elsewhere in IBM, as well as other companies providing business strategy and process improvement services to the media industry. My hope is that such service providers will help executives in media businesses appreciate the strategic importance of experimenting with unconventional business strategies like FairPay. Again, the appeal here is that the win-win customer journeys of FairPay not only embody design thinking and service-dominant logic, but bring it directly into the bottom line, to help fuel a broader transformation in business. Specific to the media industry, an IBM white paper is entitled "Smarter Media and Entertainment: Reshaping the operating model and the customer value proposition in the era of big data." While there is obviously much to do in that regard, and much progress is being made, I submit that FairPay provides processes for taking this far deeper than is generally recognized to be possible. To understand just how FairPay can fuel this transformation, see the Overview of FairPay and the sidebar on How FairPay Works (just to the right, if reading this at FairPayZone.com). There is also a guide to More Details (including links to a video). The recent inaugural Forrester Wave Report on Subscription Billing Platforms, shows that the trend toward subscription models -- as an aspect of relationship marketing -- has become very important in many industries. Key drivers behind the experimentation and subsequent adoption of transformative business model relationships include a desire for stickier customer relationships, a thirst for customer insights, an eagerness to capitalize on the cloud, and an inclination to experiment with connected products. The next-generation FairPay strategy (as described on the Harvard Business Review Blog) has not yet surfaced through Forrester's radar, but it is on the radar of some of the companies Forrester reviewed, including Zuora, and Vindicia. FairPay further transforms subscriptions and similar recurring relationships, to re-center the customer journey on value -- adaptively seeking win-win value propositions. This can change the fundamental nature of the customer relationship and how we think about pricing and selling services. It is especially relevant to B2C businesses (and SMB-oriented B2B). 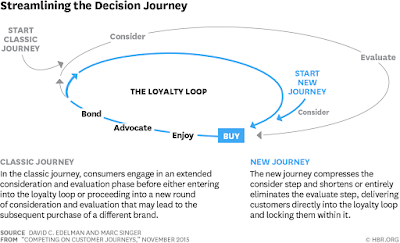 "Innovation Is Enabling An Era Of Continuous Customer Relationships"
A thirst for customer insights. ...to build long-term relationships, monitor engagement, and perform sentiment analysis. Forrester also noted that some of these vendors have strong relationships with Big Five consulting firms, as well as many ERP and CRM platform providers. I have had discussions with some of these companies (notably Zuora), and have had expressions of interest by them in adding FairPay support to their offerings if a customer has interest. Should your firm want to consider testing FairPay, please contact me to assist in assembling the appropriate resources (including such platform vendor services, as well as academic researchers willing to help design and evaluate trials). I have been working on FairPay as a pro-bono project, and am happy to explain the concepts, and help companies develop applications of it, at no charge. Why you should want to try FairPay? The short answer is better and more profitable relationships with more customers who value your services. It is especially attractive in markets like digital content and services that offer experience goods that are cheap to replicate but costly to create, and for which managing and quantifying the customer's perception of value is a challenge not well met by one-size-fits-all pricing methods. FairPay adaptively seeks personalized price discrimination in a way that customers accept as fair. A significant and growing portion of our economy is conducted in ongoing customer relationships -- FairPay is the way to adaptively seek win-win in those relationships, to make them stronger and more profitable over time. Let's work together to see how to make that happen for your business. Price = Value. The essential logic of FairPay is that Price = Value ...in context, and over time. 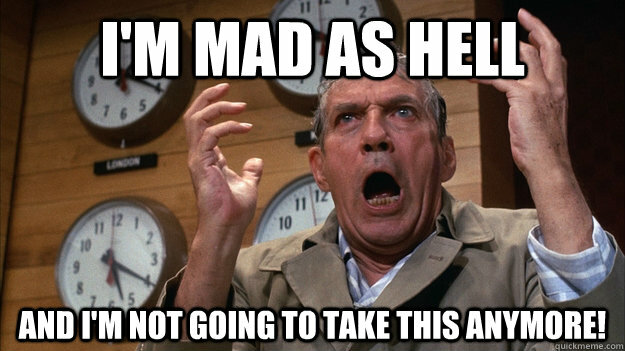 Or at least it should, and an efficient economics will seek to approximate that. Isn't that only fair? -- the only win-win way to do business? Why should we -- both producers and consumers -- settle for prices that are anything less than the best reasonable approximation of the actual value we receive? FairPay is a new logic for conducting ongoing relationships that adaptively seek win-win value propositions in which price = value. 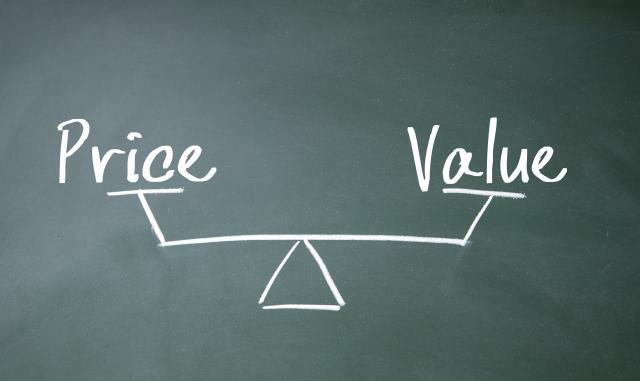 The core idea is that prices should equate to value. Not the producer's preconception of value for an average consumer, but what value a particular consumer actually perceives as realized in the experience of using the product or service, in the fullness of their individual context. Such a concept of price = value is win-win for both the producer and the consumer. They agree to do business if they expect a value surplus over cost, and both benefit if they divide that value surplus fairly -- fair value to the consumer, while providing a fair profit to sustain and motivate the producer. It allows a producer to provide value to a maximum number of consumers who seek it, in a way that can maximize revenue and profit as well -- especially for products and services (such as digital content) for which consumers may challenge any pre-set price as arbitrary and unfairly out of line with their actual perceived value. Adaptively seeking such win-win value propositions is required because the valuation considerations are complex. It is hard to do this accurately for any one transaction (which is why value-based pricing is now done only in high value B2B contexts). But an adaptive, intuitively reasonable approximation can be cooperatively converged upon over a series of transactions -- and can continuously adjust as things change over time. Ongoing relationships provide an environment that justifies and enables the process of adaptively seeking those win-win value propositions. If the marginal costs of the product/service are low, producers can afford to take limited risks at the start of a relationship (just as they do with free trials or freemium), in hopes of building a productive and loyal relationship that is profitable over the lifetime of the relationship. 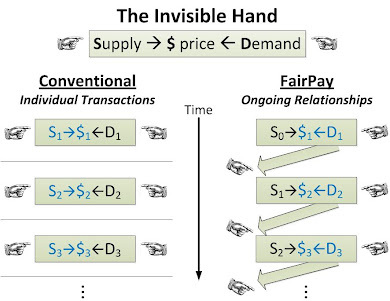 FairPay is a new logic in that this idea -- that price must be co-created, as a dynamic and personalized approximation of value as exchanged -- creates a very different conceptual framework for how our markets work. It shifts us from a mentality of take-it-or-leave-it prices pre-set by producers, which are often unfair, to a cooperative process of creating value in a way that explicitly seeks to be fairly win-win. From this perspective, FairPay is a form of co-pricing for services, in which buyer and seller agree on a process to adaptively seek a win-win value exchange -- not focused just on single transactions, but over the life of their relationship. That ongoing relationship perspective opens up a whole new dimension in customer relationships that can deeply alter how we do business -- transforming the nature of the customer journey, as well as the workings of our broader business ecosystems. This formulation encapsulates the core conceptual perspective that I have absorbed over the past year, drawing on current marketing and service science theory (see my recent posts about ISSIP and the Naples Forum on Service). Those with a purely practical focus might skip the rest of this post and turn to more pragmatic information on FairPay. The core dynamic of the FairPay choice architecture is described in the sidebar and the practical implications and applications to various businesses are discussed throughout this blog. Check out the Overview, and More Details. That quote is one of the inspirations behind an emerging reformulation of marketing -- the idea of a "Service-Dominant Logic" (S-D-L), in contrast to the "Goods-Dominant Logic" that developed over the past centuries -- "yesterday's logic." Now we are in a service economy, and are beginning to see that the value of goods is really in how they enable a service -- for example, the value of a car has little to do with the physical product in itself -- its value is in how it provides the service of transportation, in a particular use and context. Is it reliable, comfortable, safe, economical, fun? ...in what mixture, to meet what needs? (Long ago a wealthy friend of mine owned an expensive new Jaguar, but was afraid to drive it far from home for fear it would break down -- high price, costly to create, but low value.) The value of services is understood to be "co-created" by the provider and the consumer in a particular use-context. This has many important implications that have been the subject of an extensive body of work. Proponents of this thinking (including the related field of service science) have been among the most receptive to the ideas of FairPay, such as at my Naples Forum and ISSIP presentations. I pick up on this further now, by suggesting that what FairPay adds might be thought of as a Value-Dominant Logic (V-D-L) -- as opposed to yesterday's Price-Dominant Logic (P-D-L). 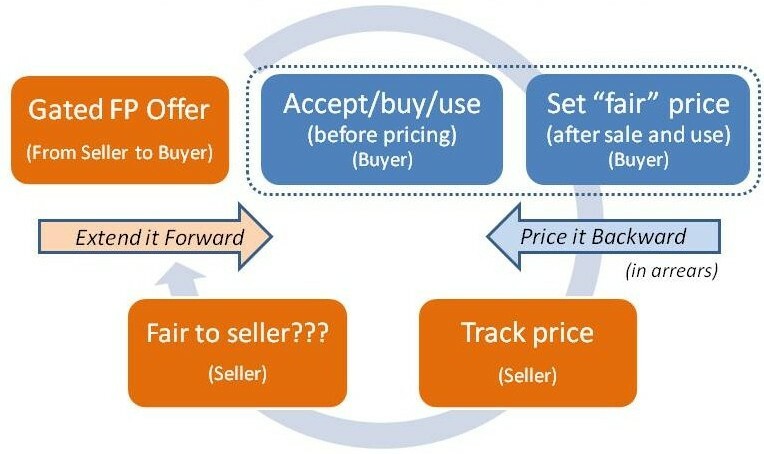 FairPay offers a process for seeking fair value, in which price becomes emergent from buyer's and seller's interactions over time. Thus price remains the metric of net value-in-exchange, on which our economy is centered, but now price tracks to value-in-context instead of being pre-set in ways that track poorly to value. 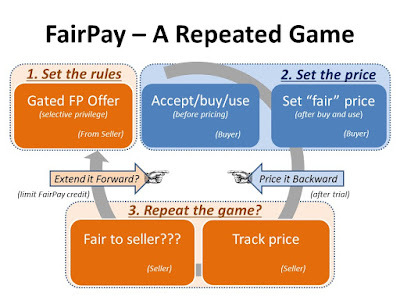 The processes of FairPay -- as embodied in cycles of customer journeys -- set price to approximate value. This not only can transform business, but makes a better economics, because prices that track to value make the economy more efficient and productive. This builds on an earlier post that describes a thought experiment based on imagining an economic demon that reads the minds of buyers and seller to determine the actual value-in-context for each transaction, figures out the value surplus (over cost), and negotiates an equitable sharing of that value surplus between the producer and consumer. Prices set by such a demon would be win-win for both sides. The FairPay process of repeating dialogs about value over a series of transactions serves as a way to approximate what that demon knows, at least on average, over time. Another post describes how this can be viewed as an invisible handshake -- an agreement between the producer and consumer to work together through the FairPay process to try to come to a common understanding of individual value propositions over time. While this emergent approximation may not be very accurate for any one transaction (especially when the relationship is new), the process seeks to converge on a level of fairness over time, as the parties get to understand one another. This is win-win for producers and consumers because it allows producers to sell to all consumers who find value in the producer's service, at prices that are dynamically personalized to approximate ideal price discrimination. That leads to a near-maximum number of profitable and loyal relationships, to maximize total revenue and total value creation. It also enables a near-maximum number of risk-free trials by consumers who think they might find value. All of this brings more value to more people. We are so used to our current practices of seller-pre-set prices that discriminate poorly (yesterday's logic), that we tend to not realize how that distorts our economy and makes it inefficient. Why do all users of a service -- such as digital newspaper or digital music or video subscription service -- pay the same price? Some use such services heavily, others lightly. Some obtain high value from the services, others just minimal levels of value. Yet they all pay the same price. Not only is that unfair, but it distorts our markets, as a deadweight loss. Many pay less than they should -- and many forgo using such services at all because they the price is too high, even though a lower price would create value and profit. At a theoretical level, one of the open challenges of service research is that its focus on value-in-context works well at a microeconomic level, but does not translate well into macroeconomics, because value-in-context is hard to measure at a macro level. I suggest the reason is that macroeconomics is centered on price, and in current practice Price ≠ Value. How can our macroeconomics be effective when Price ≠ Value? Revenue is the total of a firm's prices, but total revenue tracks poorly to total value. Similarly for GDP. If we can get prices to track better to value, then our whole economics will be centered on that, and will work better. Another implication of this Value-Dominant Logic is that value should be very broadly defined to include all aspects that matter to the producer and consumer. Many of the current challenges in getting businesses to better address social values stem from the limited scope of prices, since they are not set to reflect such broader values. We speak of Corporate Social Responsibility (CSR) and Creating Shared Value (CSV) and triple or quadruple bottom lines because our current bottom lines are missing many important components of value. Here again, FairPay provides a rich broadening -- Price = Value, including whatever social aspects of value matter to the consumer. If the consumer values broader social benefits, they can reflect that directly in the price they pay, which then adds directly into the bottom line.. It seems clear that we should be seeking prices that map better to value. We should be exploring how to do that. 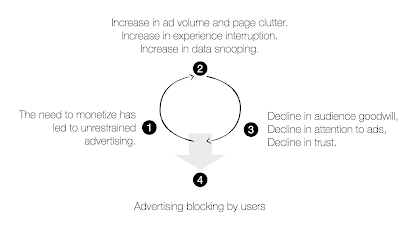 FairPay suggests an architecture for a process that does that. If the particular process I suggest is found to not work as well as hoped, perhaps understanding why, in detail, will lead us to variant processes and/or process architectures that will work better. One way or another, going down this path should lead us to more value for all of us.